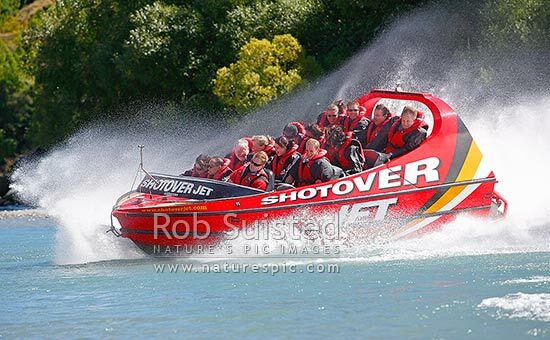 Shotover Jet jetboat carrying tourists on the Shotover River. A popular Queenstown attraction. 360 degree spin, Queenstown, Queenstown Lakes District, Otago Region, New Zealand (NZ), stock photo.